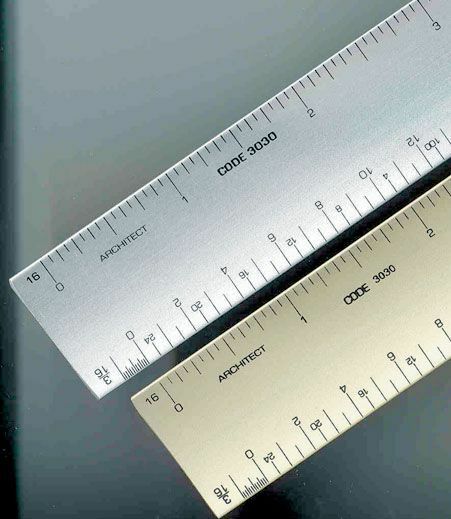 L2R Architect Hollow Scales. Left to Right reading calibrations that are easier to read than traditional architect scales that have calibrations that reverse through each other. 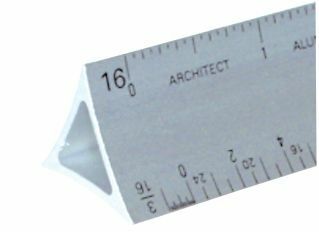 Architect calibrations are 1/4, 1/8, 1/16 and 1/32.